1973/75 signed on schoolboy forms for professional club Port Vale in the English Third Division (equivalent to US MLS). 80’s – Coach of Hornets AAA BU12 thru BU14 – Honors: San Diego County Champions, State Cup Finalists, won or came 2nd in every tournament we entered over the years together. 80’s – Adult Fitness Instructor for The Golden Door Health Spa in Escondido. Offered the position as Head of Men’s Fitness Program on Queen Elizabeth II cruise ship – declined. 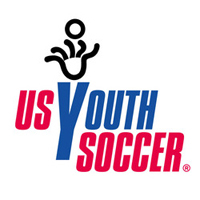 2010-2013 – Took a recreational team to Premier competitive within 4 years, in that time in every tournament we entered we made the final with the exception of the State Cup. It is my firm belief that in order to build a good team, all players’ individual skills have to be developed first. I coach by demonstration. I do not expect players to perform skills that I cannot clearly demonstrate myself. I am punctual, work hard and have fun. I teach a disciplined course which is based more on rewards and positive reinforcement rather than punishment. My approach has always been to build confidence and self-esteem. I communicate with children of any age at their level and use exercises and activities which promote achievement and the mastering of that particular skill. I expect players to give 100% both in practice and in the game, not forgetting that it is only a game and they are still children. I teach every player every position and every team member plays an equal amount of time on the field. Enjoyment, improvement and player development are priority and winning at all costs takes a second seat. In my opinion, winning will become a natural occurrence when the players become proficient while enjoying their game. Many of life’s skills can be taught by a good sports coach. I am a constant goal-setter and always push to be a high-achiever, I am a business owner, I have a black-belt in taekwondo, I am a licensed pilot, and I am as fit at 60 years-old as I was at 30 years-old. I thoroughly enjoy being the Director of Coaching for the Heat Organization, which strives to make the soccer experience a truly great one for all players of all ages.